Lots of luster with a hint of rich toning! 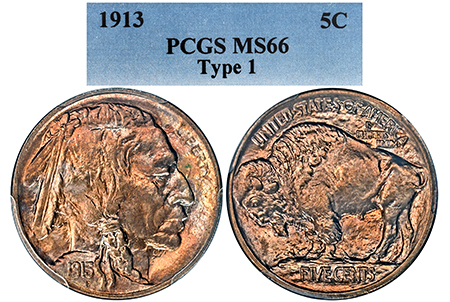 This 1913-P has lustrous surfaces with a touch of gold and pinkish, orange hues in the light. Very clean with no significant bag marks! Superb condition!